I had to find the main idea in a text. Is there a main idea in a text, in a con-text (reality), in the whole world? It’s an act of fairness to attack text’s main ideas. Main ideas cover the world like a silken cloak, light, shiny, but opaque: they don’t let light in. Main ideas are tough conquerors who impose their strenght, like bright shapes expanding through paragraphs, filling-mercury that brings brightness to the whole text. Main ideas shade the remaining text, impose their ways to secondary thoughts, which could only aspire to fade as fast as they are read. Pillars which bear the substance matter, secondary thoughts develop a proper context. Contexts are neither well considered, they’re just supporters of a much more important Truth. I dislike main ideas as I dislike main characters. Their aim is to promote a blackness of the mind, a unique way of looking at things. Their scope is narrow, a peepshow fenced by disregarding methods to look at reality. 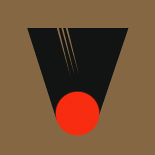 Esta entrada fue publicada el 3 de mayo de 2012 por a v is a v is a v en Uncategorized.